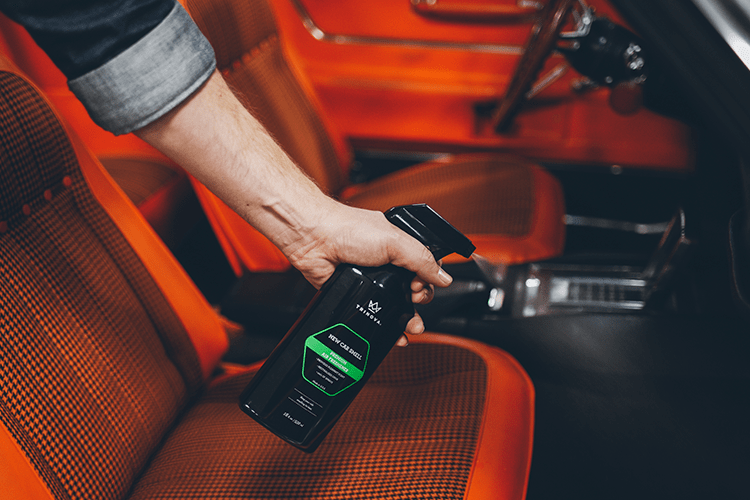 We know that smells are very personalized, and this one won’t be for everyone, but we believe we’ve come closer than anyone else to a formula that evokes the sensation of sitting down into a fresh new car. 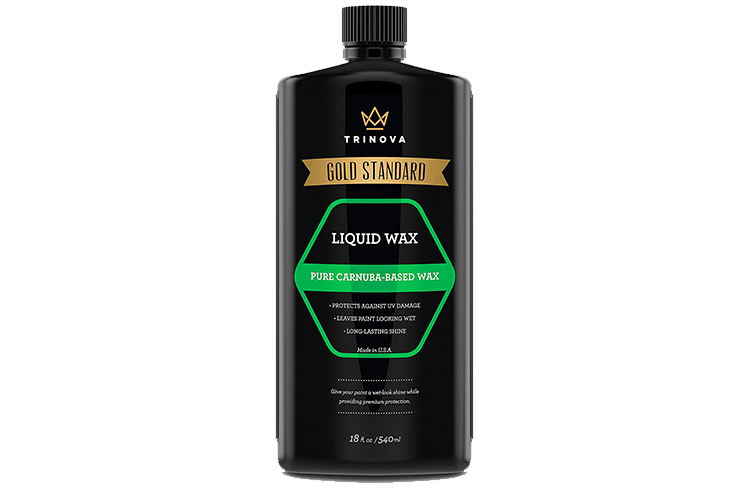 TriNova® New Car Smell Air Freshener is rated 4.7 out of 5 by 29. Rated 5 out of 5 by BlueBussey from Fresh and New Awesome Product! 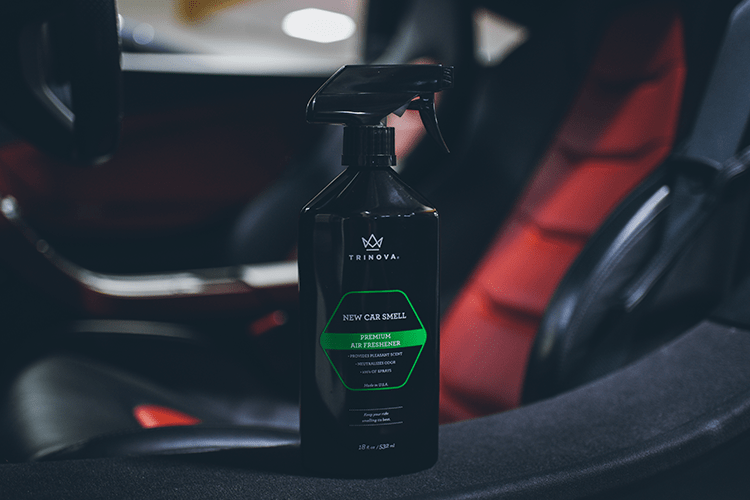 Not only does it work great to give your car a fresh new scent but it only takes a few sprays. One bottle will last you a good bit of time so you are really getting your money's worth. My car is 18 years old and has been rained in several times, had spills of many kinds, and all kinds of other crazy messes, so needless to say it can be a bit funky.. I shot about 3-4 squirts and it has stayed smelling fresh and new ever since. The scents lasts for at least two or three weeks. If I close my eyes it really does feel like I am in a brand new car. Great product for a great value! Keeps the car fresh much longer then other products I have tried. Rated 5 out of 5 by Don Barnard from It really gives the new car smells...and it does last I had this product sent to me, not knowing what to expect or if it was different from other such products. I always love the 'new car' smell, but after some time of owning and driving the vehicle, that smell is gone. 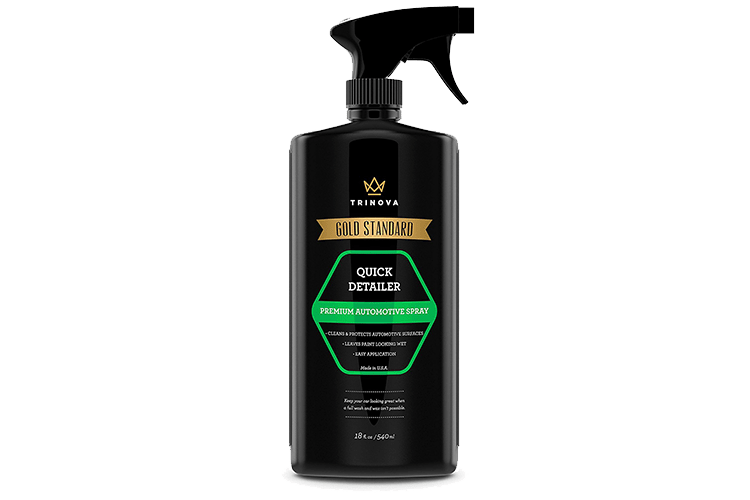 When I first got this I sprayed it in my wife's car around some of the floor mats and the next day when she got in the car to go to work she commented that wow...smells like a new car again. I asked her a few days later if the new car smell was still there and she it was. Needless to say we are very pleased with this product and very glad we tried it. We've even been using it in a few other people's vehicles so they can see how good it works and hopefully buy a bottle for themselves. Great product...thank you. Rated 4 out of 5 by Tony Rothrock from Pleasantly Surprised Was somewhat skeptical. "New Car" to me meant off gassing vinyl, carpet and glue. Always gave me a headache. This stuff is different though. The wife smokes in my truck and the wet dog is an occasional passenger. 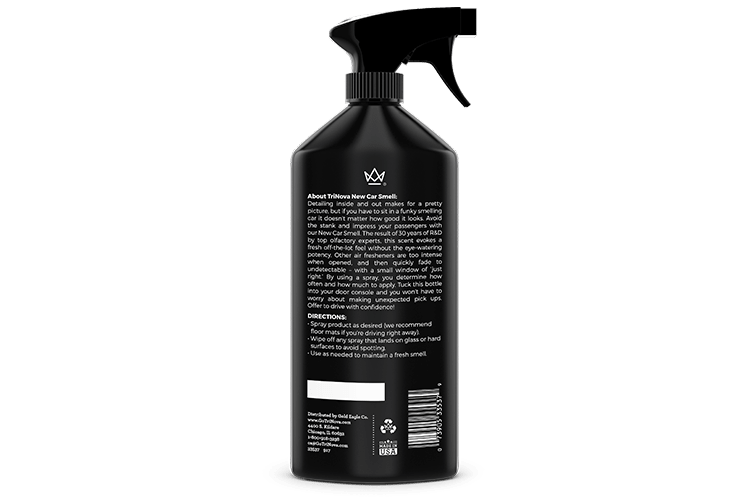 This product does help eliminate those odors, quite well. However; that "New Car" scent also reminds me of that "new car" headache, without actually giving me said headache. I think I might get used to it pretty quick though, the scent is "Clean" you know? Like a new vehicle without the "headache". I would buy it. Rated 5 out of 5 by Angie Wallace from My car smells fresh & new again! 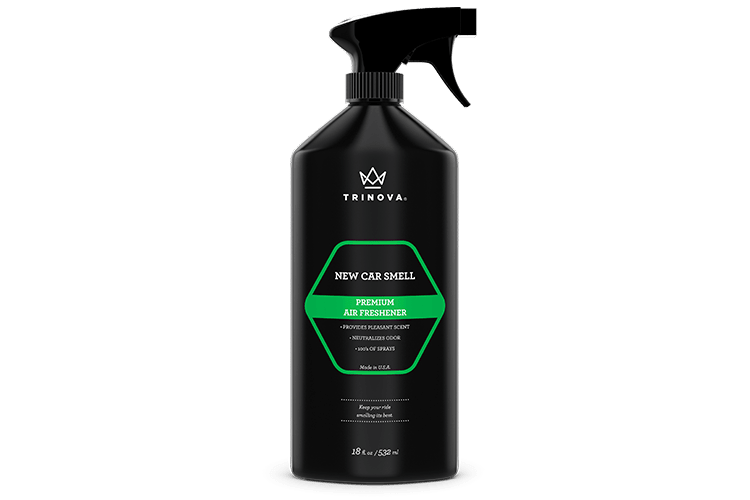 After using Trinova New Car air freshener even the first time, it left a clean smell inside my truck that lasted for quite some time. As a smoker, I am always trying to get rid of of the smoke smell and this worked great for the job! The next day when I got in the drivers seat I could still smell the leathery-new car scent which was a very welcoming scent. The size of the bottle is fantastic too as I don't have to worry about running out or throwing out anything. Just spritz and go. 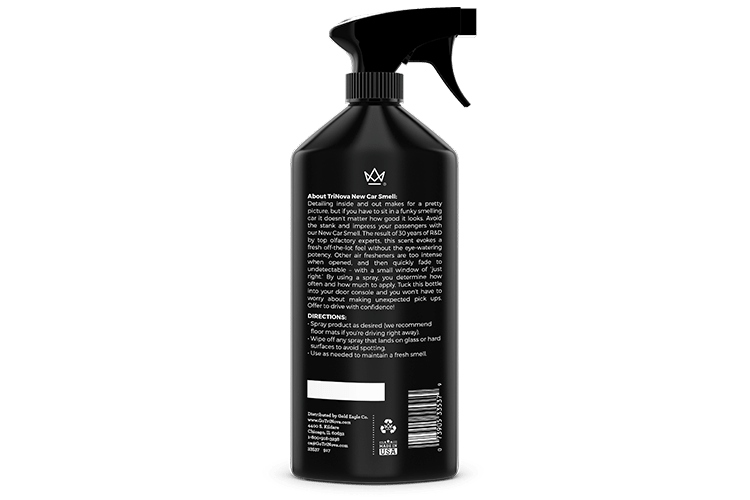 Rated 5 out of 5 by Mary L. from The real thing TriNova New Car Scent Air Freshener smells EXACTLY the way my new car smelled when I drove it off the lot. I sprayed the fabric seats, the carpeted floor, and a few sprays in the air towards the middle of the inside of the car. Days later, it still smells so nice. Friends and family compliment me on the pleasant aroma when they ride with me. The scent isn't an artificial or odd scent. It truly smells like a brand new car. Highly recommend! Rated 5 out of 5 by Morgan Barton from Very Impressed! I am very impressed after using the TriNova new car air freshener. 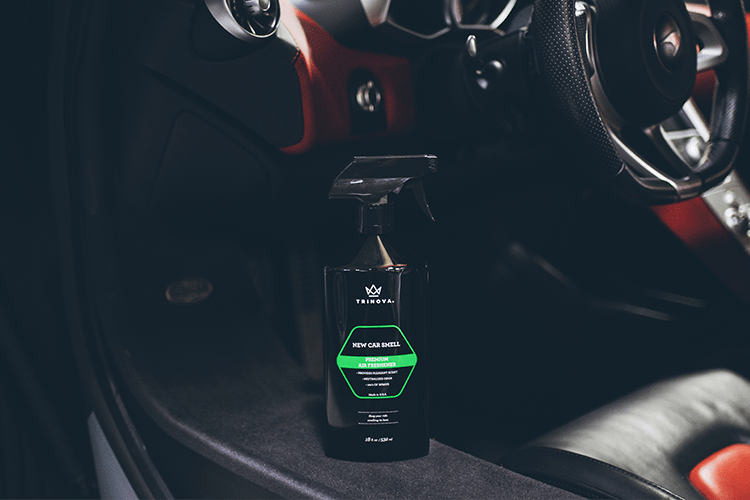 I cleaned my car, and sprayed and was amazed at the immediate difference, and the great scent. My car felt brand new again. Most air fresheners become empty very fast, but this bottle is sure to last much, much longer. I have no suggestions for improvement, because I am very happy with my experience. The scent, quantity, and effectiveness are all very favorable. Rated 5 out of 5 by Linnie from Brand new showroom car smell! 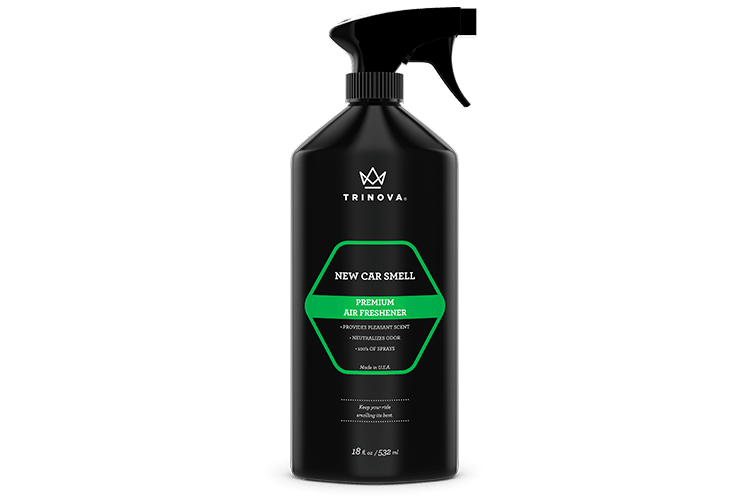 I used TriNova Car Smell Premium Air Freshener in the back of my car because the kids and family love to take out and eat on the go, and the fast food smell just lingered, and no matter how hard I tried to use car air fresheners did not work. 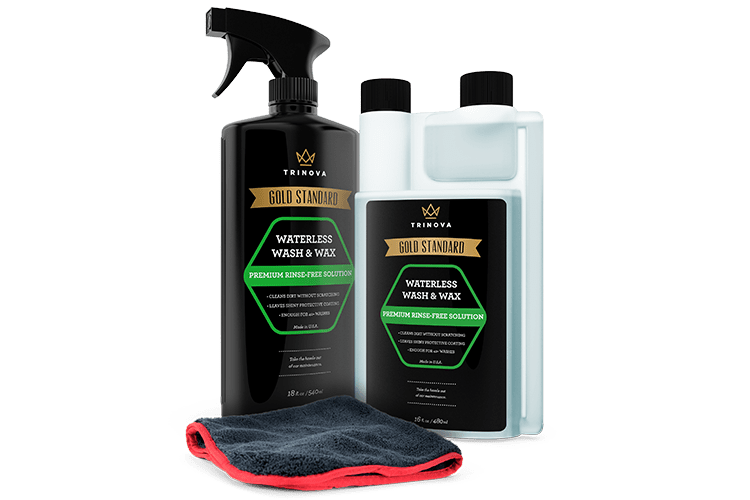 TriNova solved that problem completely, it left a pleasant citrus brand new car scent and I loved using it in my car. I would recommend TriNova to everyone! Rated 5 out of 5 by Brittany from I was very pleased with the scent! I have used air freshener sprays that claim to have that "new car smell" and this product blows them all out of the water. It smells like a new car does when you first take it for a drive. I love that the scent is so spot on and not overwhelming at all. The smell lasts a long time too so there is no need to spray it often. I would definitely recommended this to a friend and plan to!